Today, I teach an after school classic drawing - art class to a dozen children. I enjoy guiding them, listening to them and encouraging them to look and to draw. Pencil, a student's still life, a fall gourd, some sunflowers, a small pumpkin. To teach art is like sharing a secret, or giving someone glasses to help them see. My class gives me the opportunity to stand back, to guide, to listen and to observe budding artists. Amazed at with only a pencil and paper what one can do, to teach art. Take an art class and learn to look, to listen and to do. Surprise yourself with what you see and what you are able to draw. If you are an artist, teach or volunteer to teach a student or a class and be inspired to encourage others to create. As a teacher, I feel like a Momma bird, flying to the class, bringing worms for each of the little birds, hungry to learn, eager to fly and "draw." periwinkle bloom gratitude note cards sent to me! I just had to take a moment and express my sincere gratitude to each of you. As an artist and mother of three, my daily life is one of striving for balance and to please many. Criticism and anxiety often side track me from reminding myself how truly blessed I am. How fortunate to do what I love, to be close to raise my family and to build a business. 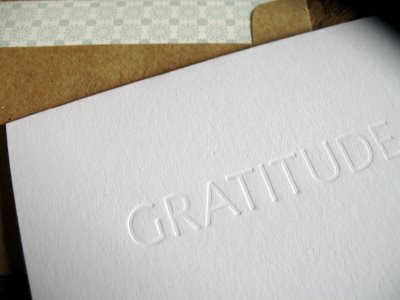 It is all so much easier when I have an "attitude with gratitude." Never realizing the impact that the blog world would bring to my day, the amount of work streaming in and the ability to balance requires patience. I ask those of you who are waiting for "artwork or lunch" to be made, to be patient and to know how eternally grateful I am for each of you. While on a job yesterday painting, my client reminded me, "There is a plan or a puzzle for each of us while we are here and we must not fail to see that the missing piece is in someone else's hands." It made perfect sense. I wanted to thank each of you for your amazing support and patience in helping me to solve my puzzle or striving to be the best Mom, artist and friend. A little "attitude-gratitude" is what I encourage each of us to try today. 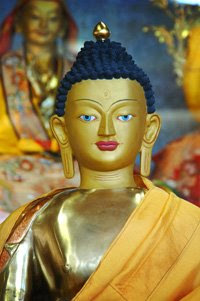 True gifts spring spontaneously from one's pure compassionate heart with no thought of any return. Last week I sent a box to Perfect -Beginning to get the ball rolling for a "pay-it-forward." There is something special about getting a box in the mail. Yesterday, a box of goodness was sent to Architect Design. The requirements for the the pay-it-forward true gift tuesday are to be fun, thoughtful and simply something to make the person smile! I want to thank la la lovely for sending me a box, a lovely chocolate bar, a pretty little soap dish and a delightful initial magnet which I love! She has just launched something to remind us to be good and that each of us can make a difference. this little doll is running to give her Mum something special. she dressed herself and I had to take her photo, what style! I just love her "dora" boots! So good things come in 3's.... May each of you go forth this true gift tuesday. It is in giving that we receive. Give something simple, make someone smile today. Release your inner child and play along, pay it forward, "true gift tuesday!" The top 3 must e-mail me, as to where to send! A lovely package arrived in the mail the other day. Visual Vamp sent me this pretty package, inside, a book "Gotta Tango" along with an illustrated card that I drew for her and she printed. Thank-you. This gift made me feel like dancing! Voila! Thought I would share a new photo taken with my new camera of my cabbage galore! I am learning - so please be patient as I discover the world through the lens. 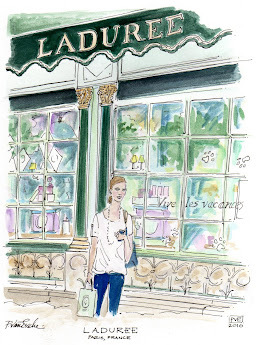 Nothing makes my heart skip a beat faster than a "boutique" or a "shoppe" full of international charm. I adore the kind of place where you feel compelled to step inside because the sunny disposition is right there smiling at you in the window. From the minute you walk inside, pleasantries are spoken, you are welcomed as someone special. Happy things eye you, silk pillows to jazz up your couch, chic lighting, or a gorgeous book and suddenly you find yourself in deep conversation with the shoppe-keeper, why it's as if you have known one another for a life-time. 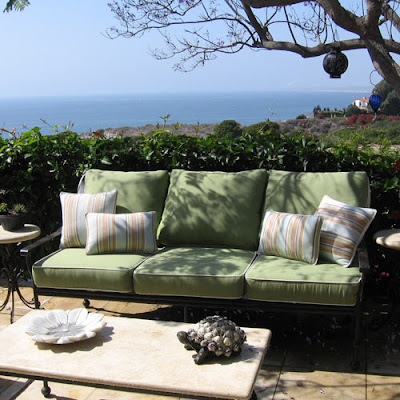 Sur La Mer design offers services to artfully prepare your home, inside and out! 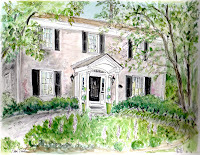 You find out that you both love the art of creating and designing an artful home. Both beach lovers, sunscreen users, travelers, love french things, a serendipitous moment, right! 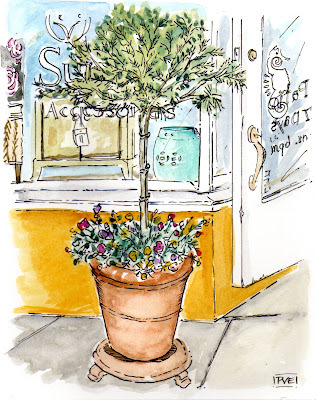 Touches like potted topiaries, fresh cut flowers, the scent of a candle, and lovely music draw me in and I feel compelled to bring something home. A new design book, a frame, a wonderful wooden bowl and a soft throw all seem to call my name, making me feel special, in a "boutiquey" sort of way. 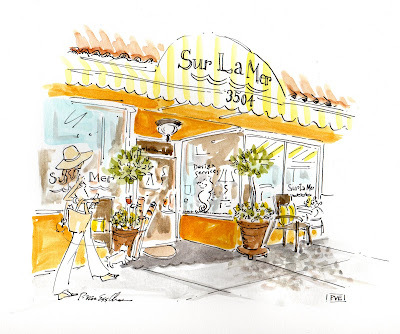 The above illustrations were done for "Sur La Mer" - a lovely boutique in California. Tell me, if you shop there? 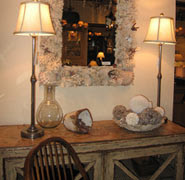 What speaks to you, do you have a favorite local shoppe that calls your name? 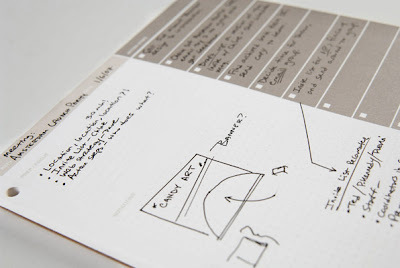 Part of the creative process requires taking notes and creating lists in an organized process. In my quest for organizing, I came across this site that offers some tools to outfit your creative thought for running a home or business with ease. 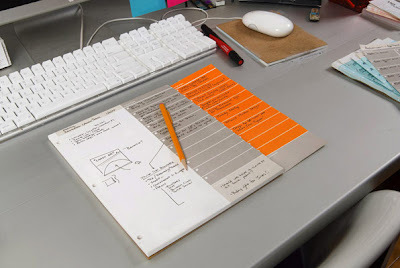 Cool sheets or note pads to write it down. Paper provides a spot to return to the well of ideas. As you create your lists, pare down each project to what is essential to make the most of your time and effort. Tools, such as this along with manilla file folders help to get organized. The thing that is blocking you or getting in your way will suddenly be apparent and make more space to create your project. Starting this process for any task will provide balance and time. 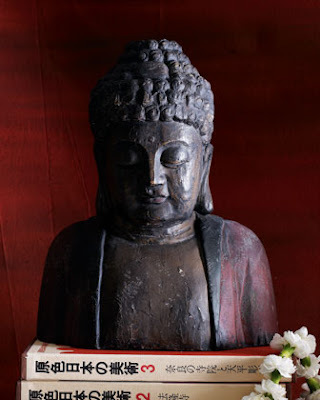 How do you make lists to find your time for creative zen? Creatives Outfitter has great tools if you need help. 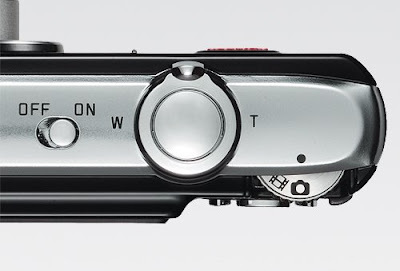 Picture this, my brand new Leica Camera. I had been stalking this camera for some time and finally knew that I would be near the Paul Smith Store - where I had spotted this camera and was finally ready to make that commitment. A serious one, at that - but not as serious as this new fun and fabulous ring pictured below. 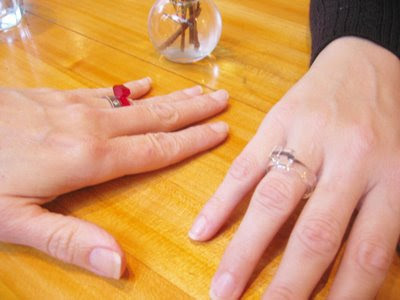 take this ring and blog about it. 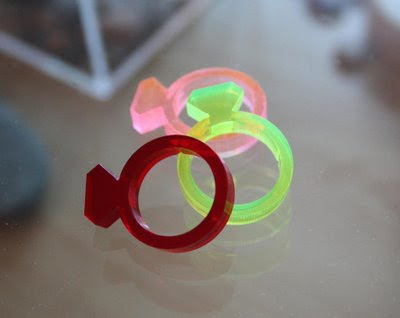 I love my new ruby and pink rings and my new camera and new bloggy friends too. Oh, and then when I arrived home several packages were waiting at the door, one was my new book "FLAIR." What a picture perfect day. 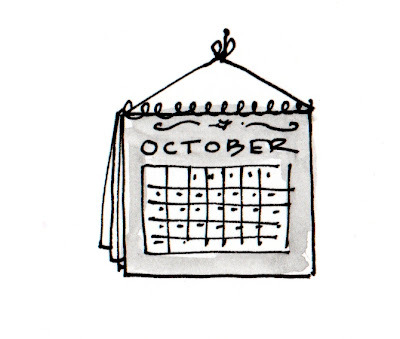 "calendar." Do you have a datebook, a calendar or are you a complete tech and have it all on your computer or hand held device. I still enjoy writing it on my classic calendar and then remembering important dates with hand made cards or something sweet. 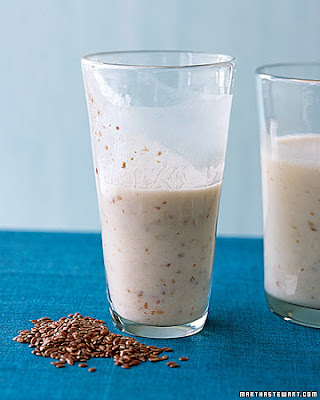 In order for the mind to create and to achieve a productive day, begin with a breakfast creation such as the above picture, a smoothie, which consists of banana or strawberry, yogurt, honey and add some flax seeds for added goodness. Breakfast is truly the most important meal of the day. How do you "carpe diem" your day? What do you create for breakfast? 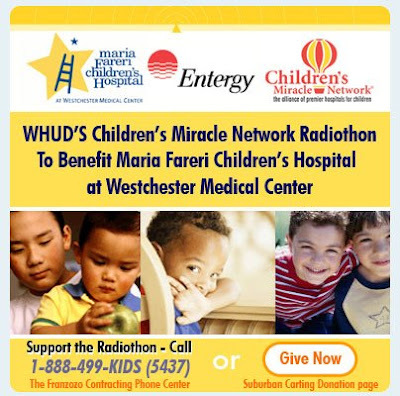 Tune in, this morning I will be speaking on 100.7, WHUD as a "change bandit" on behalf of the Westchester Maria Fareri Children's Hospital. My son was in this hospital for nine days in August. I am forever grateful to the staff. The greatest miracle is to see him come so far along with other children that I met. Many children come from afar to this hospital and many do not have the means, nor the family to be there for them. Please support this worthy program by giving some change. Change truly makes a change. I believe in miracles. I hope you do too. Megan Coyle is a gal who rocks the world with collage. 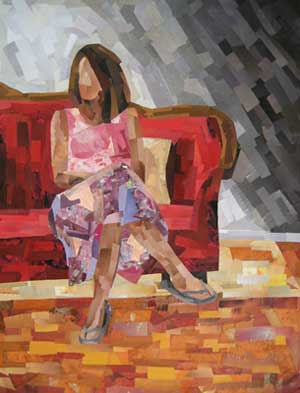 Give this gal some paper, scissors and glue and a composition is created to produce a painting of sorts. 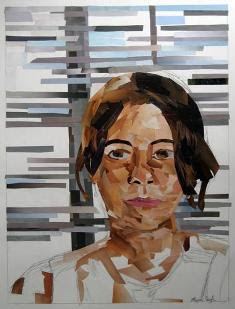 In high school, there was an art project that I did very similar to this and I loved the challenge. 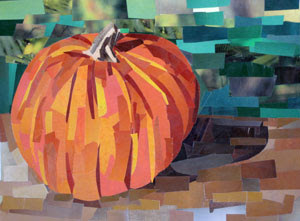 In a way, a collage is sort of like a puzzle. Finding your craft and your passion can be found at any age. I am happy for that she seems to have found her passion for collage at a young age. I always admire those that find it, recognize it and honor what they love. I also admire late bloomers too. I could not resist to post this "great pumpkin." The vibrant color and dedication to creating depth of field, shape and shadow speaks to me. How incredible to have found magic in paper and glue. 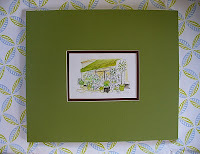 Megan has many works for sale along with note-cards. Please give a round of applause to this dedicated artist. As an artist, nothing gives me more pleasure than supporting them through buying a work or bartering. Think about sending Megan some paper or glue or simply leave a comment here for her. 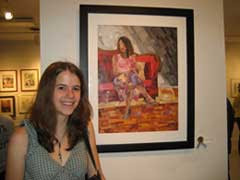 Megan Coyle in the del-ray show with her collage. Tuesday, I had the pleasure of attending a lunch for a Princess. 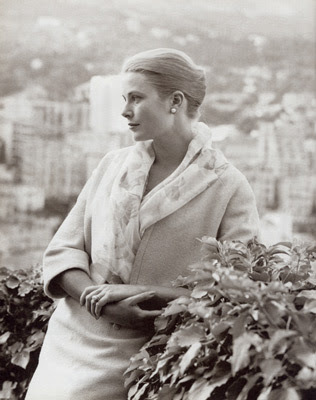 The Princess Grace Foundation is dedicated to the dreams and wishes of Princess Grace to support emerging artists in the fields of Theater, Dance and Film. Each year recipients are awarded support and recognition. 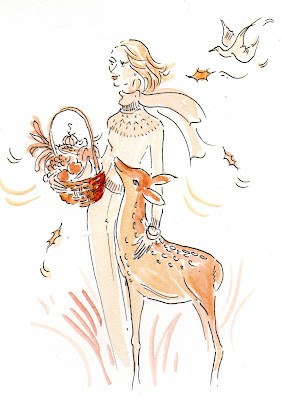 Princess Grace has touched the lives of many artists yesterday as well as today. Over the years, I have been fortunate to be included in many wonderful events as my sister-in-law is on the board of trustees for the Foundation. My husband was raised in Monaco and has been friends with the Royal Family and remained in contact while raising his own family. The luncheon was held at Daniel in New York City to honor the donors and supporters of this foundation prior to the evenings gala. A pve design commissioned work of art has been donated to support this event, hence I was included in the lunch fit for a Princess. 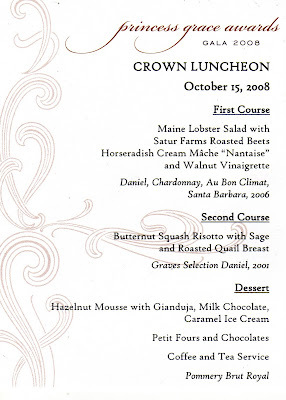 The menu was a royal treat! I had the pleasure of being seated next to some incredible women and to hear the stories of how they are working to support this foundation in memory of a loved one. During this time of financial uncertainty, one area that always seems to suffer is the arts and it is so important that we realize this and continue to recognize and give to a cause that will support the wishes and dreams of those that have gone before in style and grace. Nothing like some hot news to give me something to "rap" about or visual display to inspire something newsy to my life. 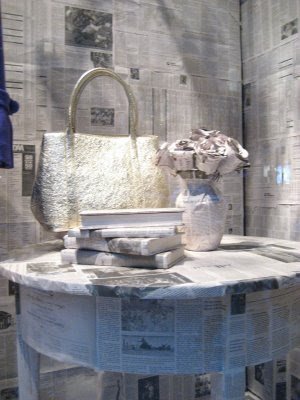 Spotted this window while in New York City and thought it was newsworthy. 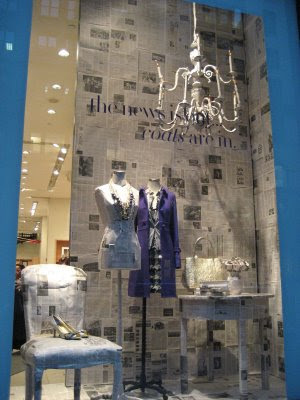 The J.Crew windows that were literally wrapped in newsprint. I wonder if the visual display team scratched another idea in lieu of this thrifty idea given the current news. 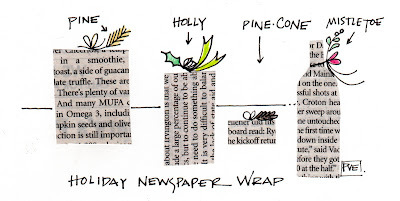 Love to know what you will use for your holiday wrap? 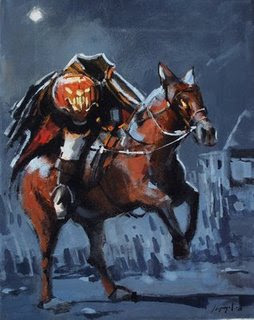 Oh, sorry, I know it is not even Halloween. Can you blame a girl for planning ahead? Soon this will be old news and something hot off the press will be here, which by the way reminds me of my own pressing, ironing that is. My mother has always told me, "things have a way of pressing out." I never imagined that as a keeper of a blog, that I would have the fortune to meet and build friendships along the way. 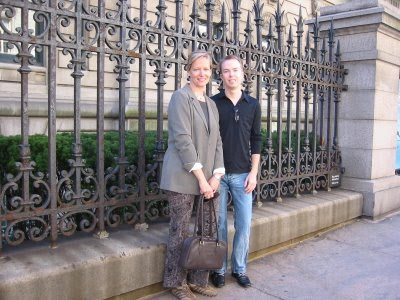 Last Saturday, I had the pleasure of meeting Stefan from Architect Design in New York City for a delightful day. We both felt as though we were not meeting for the first time, there was a design connectivity and an appreciation for art, design and beauty. Truly, destiny, "by design" for a delightful day. 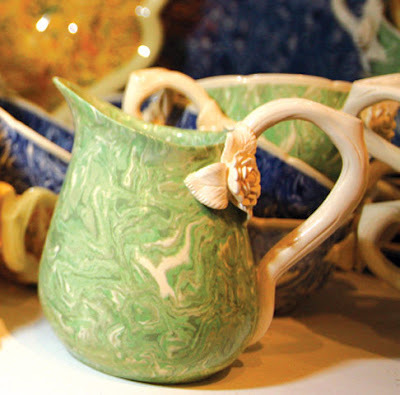 First we met at the Charlotte Moss Shop where I eyed this earthenware pitcher. I have a penchant for "green" and there was something about this marbleized finish that is so attractive. There is a sale going on, as the shop shall be closing so that Charlotte can devote her time to design. The pitcher did not come home with me as I am in a "saving mode." I learned that we both love chocolate chip cookies. 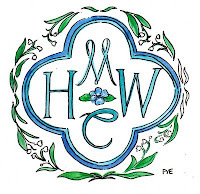 Arriving at the Cooper-Hewitt Museum to view an exhibit - "House Proud" a collection of interior watercolors and other fine objects. The attention to detail as well as the amount of patience was impressive. I need to brush up on trying my hand at some of these sorts of works. Firstly, I will need some brushes with fine tips in order to get the amount of detail. Then upstairs for some more eye feasting. a modern fine line "frame" wallpaper, perfect for today - of course I would want to illustrate in each frame a work of art! I loved this paper. and a children's wallpaper exhibit with vintage designs, "Wall Stories"
a wallpaper sample from the collection, animal motifs are still charming today. 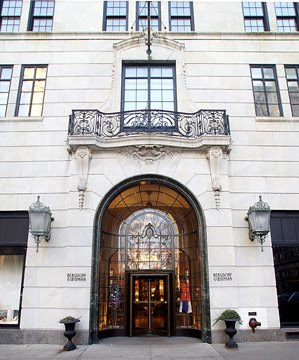 The finale was the Fifth Avenue promenade leading us to "Bergdorf Goodman" - for a little window shopping and a mad dash to Grand Central for my train, otherwise, I may have turned into a pumpkin! By design, a super Saturday to blog about. 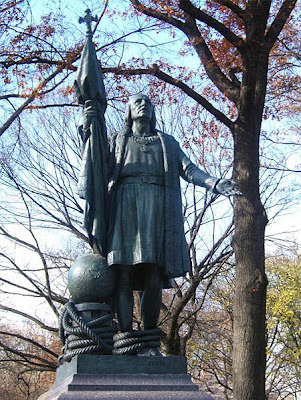 Today is a holiday, "Columbus Day" and there are many parades in honor of Christopher Columbus. One of my roles as a parent is to teach my children to never lose sight of what they might explore. Can you imagine leaving on a boat, one of three boats, with enough provisions to last a year and then doing it again several times? 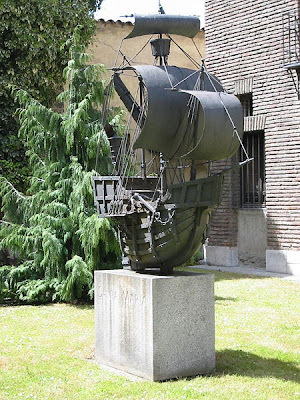 Some people refer to Columbus as a Captain or an Admiral and I simply think he had an "entrepreneurial spirit." 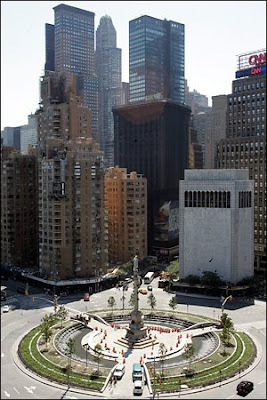 In New York City, there is a marvelous statue of Columbus - namely standing over Columbus Circle. 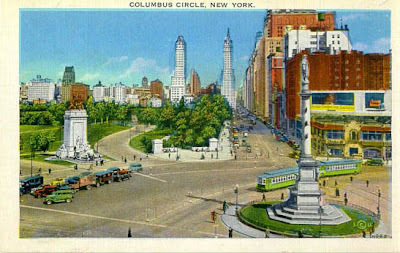 For those of you that are planning a trip to New York, you may want to explore the Shops at Columbus Circle, at the Time Warner Building. There are some fabulous shops and food should you not have packed such provisions. 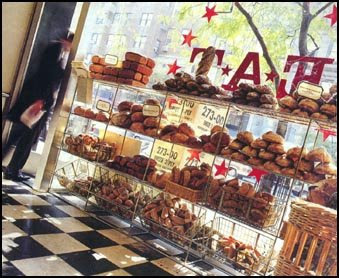 A coveted circle of tastes such as Bouchon Bakery, Per se, Masa and Landmarc. The Time Warner building is full of entrepreneurial spirit. Celebrate the explorer in you today and venture out on your own maiden voyage. Journey to discover something that excites you, be it in nature or in something that will give you a "vision" to take a chance and accept the responsibility of a plan, even if it is to make "reservations." Feel the adventurer in you and take a moment to honor Christopher Columbus today. 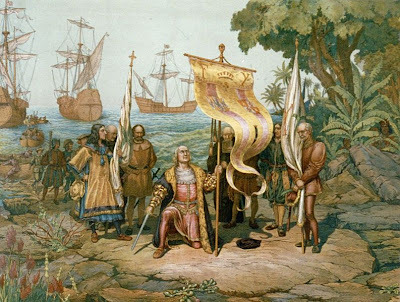 Celebrate the spirit of Columbus today with vision and tell me what you find! While on a morning walk, the sweetest deer came so close to me. Birds were singing brilliantly and leaves fell gently. Along the way, I gathered some lovely things to bring home for my table. A basket full of fall goodness or a simple branch with berries to remind us of the bounty of autumn. Enjoy the weekend and take time to honor the flora & fauna around you, where ever you are. Love to know what is on your table? 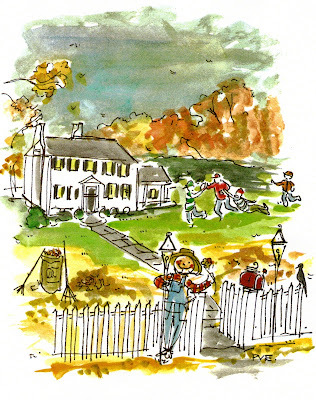 When I was growing up, one of seven, my Mothers favorite things to say was, "Take it outside" which meant that we were obviously getting too rough or trying some sort of game that really in all honesty was better outdoors in the fresh air. ( A game of "touch football" or tag is a great way of letting off steam.) I find myself repeating the words of my Mother and on "no-school days" - I order my kids to "take it outside." What do you find yourself saying that your Mom used to say, with or with-out kids. You know you must have something to say, in an "inside voice" - please.